As recently proven by Ben Minnotte of Oddity Archive, this isn't actually a CD reissue of "Go to Rhino Records"/"Rhino, the Place to Go". 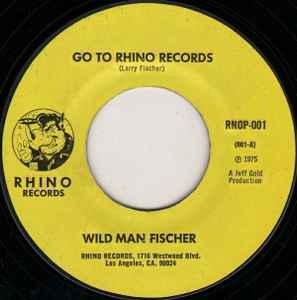 It starts with the first four lines of "Go to Rhino Records", then is interrupted by a "break-in" record hosted by Dr. Demento in which he interviews the Rhino-controlled artists attending the company's 21st anniversary party. It's on Ben's ArchiveAnnex YouTube channel, if you're so inclined.